Driving a Honda has always been a joy. We’ve just improved your ownership experience. 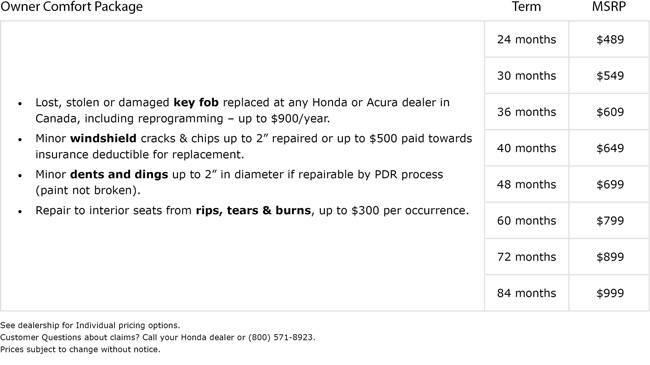 Honda Plus Owner Comfort offers years of protection against damages that are not covered by your insurance company, but are expensive to repair. Minor dents and dings are repaired using the paintless dent removal process. This will protect your vehicle’s factory finish. A small crack can lead to a big problem. We’ll repair chips and cracks up to 2” right away to prevent growth. And not just once. You’ll be taken care of every time it happens. If the chip is larger than 2”, we’ll still help. We’ll pay up to $500 towards your vehicle insurance deductible. Keys disappear all the time. It’s part of life. 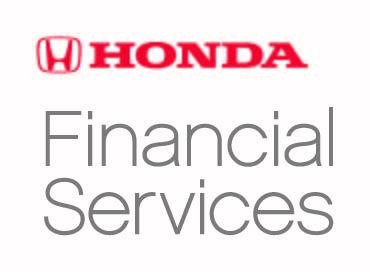 If your key fob is lost or destroyed, we’ll get you a new one at your nearest Canadian Honda dealer. Plus, we’ll pay for the reprogramming. Zero deductible. Zero problems. 100% convenient. Minor rips, tears and burns on upholstered seats don’t just look bad, they’re bad for resale. We want you to worry about enjoying the ride, not things out of your control. We’ll take care of the cost for any uh-ohs.